Dearest Mrs F, my far and precious angel,sometimes when I have a moment of rest, without any of the daily duties and problems of our material life, I fall into a state of deep sadness. Recognizing some of the slow changes that affect the people or the nature around us suddenly makes me aware of the cruel and merciless passing of time. I see it every year in the middle of the summer, when the cereals on the farmlands around our village grow high, the wheat, barley and rye turns golden and produces a rich and delicious smell (I imagine that such must be the odor of the sun), and then suddenly on one afternoon, the farmers start their giant harvesting machines and cut all the golden fields down. And suddenly, the rich grains that were swollen over the last month like a womans belly during pregnant and that beard the promise of a whole year with sufficient bread and cakes and pasta (and beer from the barley and malt), all these magnificent signs of a wealthy future are gone. Instead of the golden, majestic grains that slowly move in the summer wind, only the short cut trunks are left on the fields, but they are the dead remnants of the majestic plants, and they will stay like this for the whole winter. 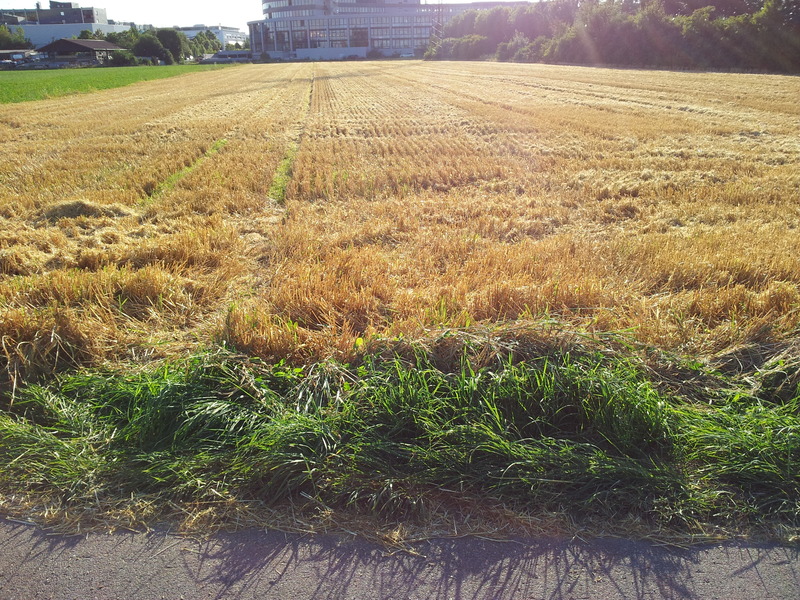 Therefor, already now in the mid of July, I start to fear already the season of snow and frost and chilly wind, because from one day to the other, the golden grains turn from a symbol of rich and powerful life into the first prophecy of the end of all life. 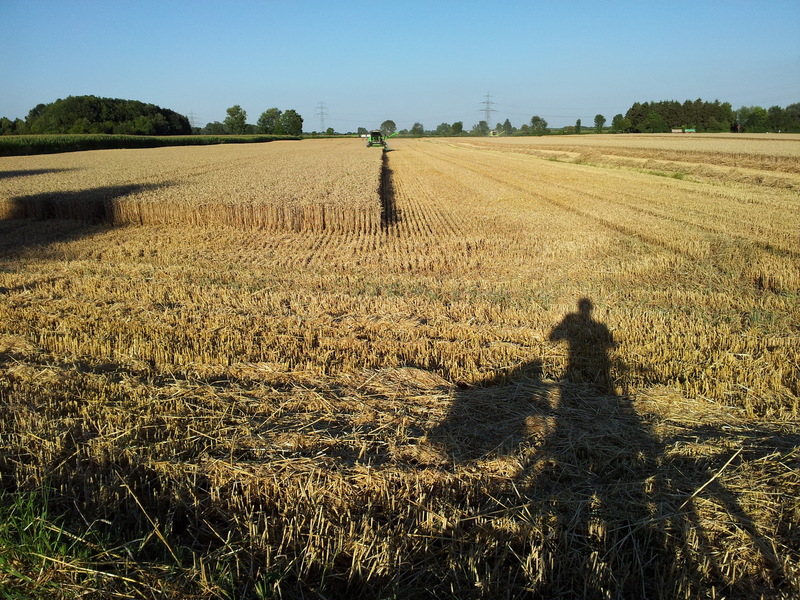 Since we moved from the center of Munich to the rural area on the cities periphery, I fear this moment in the middle of summer every year again and again. You see, how cruel the living close to the nature can be. I am currently on a bus ride back home, after having spend 4 days in Berlin with my parents. I feel more and more obliged to look after them, to give them the feeling that they are not alone, although I live 600 km away from them. The notion, that they had a happy and good life, without major tragedies but rather a slow and continuous prosperity, is at the end a very weak relief. I see them getting older and weaker every year, and it is hard to remember how strong and almighty my dad appears in my childhood memories. He was always in control of the world around him, and now he is not even of full control of all his physiological functions. I see how he suffers deep inside, when his hands can not hold the cup any more and he spills the coffee. I feel how this makes him angry inside, but he never says a word. And my mom, who worked as a teacher and showed thousands of kids how to read and write, she herself has trouble to write now, and she can not read long books any more since her nerves can not concentrate any more. It makes me so sad to watch them, and to know there is nobody who can stop this natural health decay, since both of them are already more than 80 years old. I know that at this age, the most precious that people have are their children. When they see that their children are living a happy and good life, this makes them happy despite their own physical and health problems. I know that I could never tell my parents that my happy life is a skin-deep facade, and that deep inside I feel very unsatisfied with my life. With some more commitment and ambition at work, I might have become a better scientist. With some more rehearsal, I might have become a better guitar player. From a superficial view, my life might look safe and as compared to all the trouble in the world, I have no reason to complain. But I cannot find much solace from this, my doubts and my feelings of never satisfying what I should gain in life will always torture me. Sometimes, however, I find some solace when I read your words and realize that you are there, with your great heart, your beautiful mind and your mysterious eyes.